BUILD STUNNING FULL COLOUR POSTCARDS AND GREETING CARDS - EITHER ONLINE OR USING OUR MICROSOFT® WORD® OR ADOBE® ACROBAT® PDF TEMPLATES! N.B. To avoid repetition we are showing the process of designing and building postcards only. The method for greeting cards is very similar. 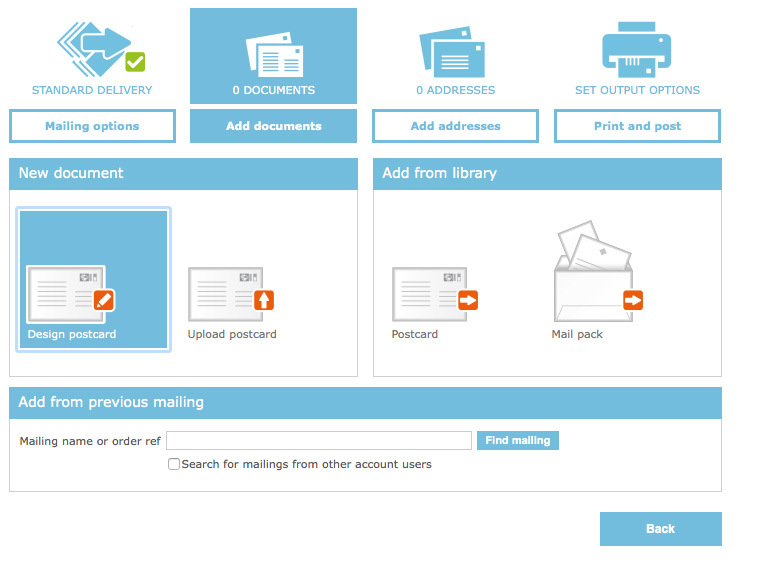 The quickest and easiest way to get going with postcards (and greeting cards) is to use the online generator within Docmail. Let's walk through the process with the postcard editor. The greeting cards method is very similar. 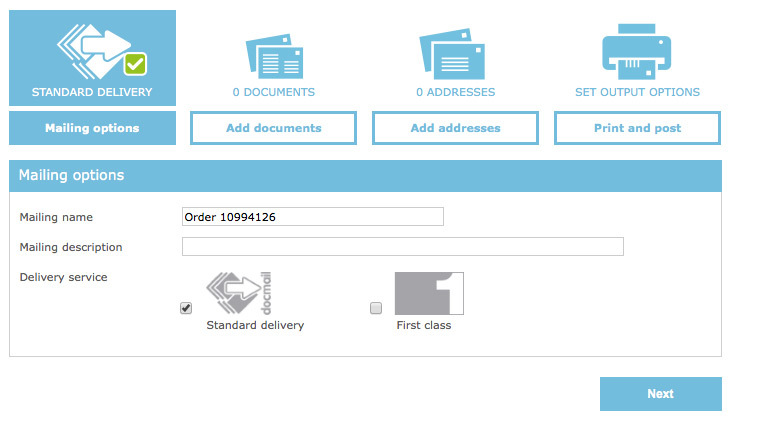 Log in to Docmail and click "Create Mailing". On the next screen, select "Postcard", then click "Next". On the next mailing set-up screen, select the delivery speed you require. It might be useful to give the mailing a name in case you want to locate it again easily. Click "Next". 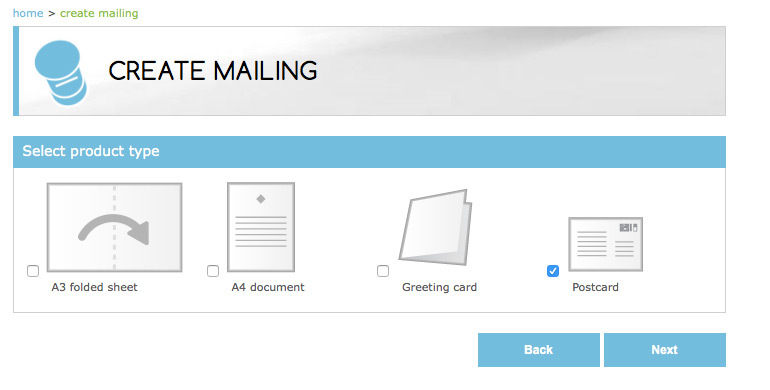 Choose the option button "Design postcard".